1 October 2015 (Culemborg) – Fair Trade breaks the chain of poverty. Fair traders around the world, together with small producers and backed by consumers, are breaking the chains of poverty. Fair Trade is growing and that is our proof that we are gaining our fight against extreme poverty. The WFTO membership count doubled from 155 Fair Trade organisations in 2005 to 355 in 2014. In the same period, the turnovers of these members quadrupled from 136 million euros to 448 million euros. To ensure their way out of poverty, producer-beneficiaries of WFTO members receive fair prices for their products, long-term income security, capacity-building and life-skills trainings, no discrimination, no slavery, and good working condition. WFTO believes that poverty can be effectively eradicated by empowering small producers, giving them fair and sustainable means of livelihoods. 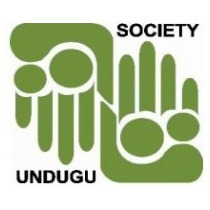 I HAVE WORKED FOR UNDUGU FAIR TRADE FOR 11 YEARS MAINLY DOING THE WASHING, SANDING AND POLISHING OF THE PRODUCTS. 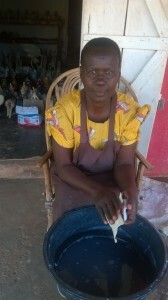 I LEARNED THE SKILL FROM MY MOTHER AS I WAS BORN WITHIN TABAKA THE SOURCE OF THE SOAPSTONE PRODUCTION. I HAVE ALSO IMPROVED MY PRODUCTION SKILLS THROUGH ATTENDING TRAINING WORKSHOPS ORGANIZED BY UNDUGU. I TRY AS MUCH AS POSSIBLE TO MAINTAIN GOOD WORKING CONDITIONS ACCORDING TO THE FAIR TRADE REQUIREMENTS. FAIR TRADE HAS ENABLED ME TO TAKE MY CHILDREN TO GOOD SCHOOLS AND HAVE A BETTER LIVING STATUS WITHIN MY COMMUNITY. WORKING WITH FAIR TRADE I AM SURE OF GETTING ADVANCE PAYMENTS TO SUPPORT MY PRODUCTION WORK AND A GOOD PRICE FOR MY WORK. I ALSO HAVE CONTINOUS WORK MOST OF THE TIME WHICH ASSURES ME OF SUSTAINABLE INCOME FOR MY LIVLIHOODS. I ALSO BENEFIT FROM CAPACITY BUILDING TRAININGS TO BETTER MANAGE MY WORKSHOP AND COME UP WITH NEW PRODUCTS. I PRAY FOR MORE WORK FROM FAIR TRADE MARKETS TO KEEP MY STANDARD OF LIVING ALL THE YEAR AROUND. “ WFTO requires its members to comply with the 10 Fair Trade Principles through the WFTO Guarantee System, which regularly verifies organisational practices of trading organisations to ensure Fair Trade is being respected. Products that are Guaranteed Fair Trade can be recognised by the WFTO Product Label. Products carrying the WFTO Label are made and traded by Guaranteed Fair Trade Organisations dedicated to the sustainable Fair Trade economy. Every purchase of products with the WFTO Label supports small producers and their communities. The World Fair Trade Organization (WFTO) is a global network of organisations from over 75 countries across Africa and Middle East, Asia, Europe, Latin America, North America and the Pacific Rim, representing the entire Fair Trade supply chain. Membership of WFTO provides Fair Trade organisations with credibility and identity by way of an international guarantee system; a place of learning where members connect with like-minded people from around the world; tools and training to increase market access; and a common voice that speaks out loudly about Fair Trade. WFTO is the home of fair traders: producers, marketers, exporters, importers, wholesalers and retailers that demonstrate 100% commitment to Fair Trade and apply the 10 Principles of Fair Trade of WFTO in their daily operations. The works and achievements of its members make WFTO a global authority on Fair Trade and a guardian of Fair Trade values and principles. The coming years will witness a whole variety of products carrying the WFTO Product Label, from handicrafts, to fashion, to food products. Behind the Product Label is a revolutionary Fair Trade system – the WFTO Guarantee System. Consistent with the goal of Fair Trade, which is to enable producers to improve their livelihoods and communities through trading within agreed set of principles, WFTO’s route to equity in trade is ensuring that organisations follow the WFTO’s 10 Principles of Fair Trade. The WFTO Guarantee System is based on time-tested best practices of Producer Group Internal Control System (ICS), Participatory Guarantee Systems (PGS) and WFTO membership system experience. To learn more of the WFTO Guarantee System, visit our website www.WFTO.com. For high resolution images, interviews and other queries, please contact WFTO Michael Sarcauga, Communications Coordinator E: Michael@wfto.com T: +31345535914.